This special Thursday post continues the conversation on memoir writing and coincides with a post on Kathy Pooler’s blog @ http://krpooler.com. 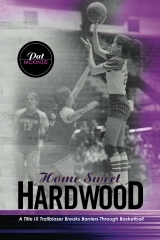 Kathy is one of my guests today and she is joined by Pat Mckinzie of X-Pat Files from Overseas and author of the memoir, Home Sweet Hardwood. Pat is also the guest at Kathy’s blog today! Please join me in welcoming these two awesome memoirists to clara54’s writer’s blog. Kathy, Pat’s journey to writing her “truths” is well documented in her new memoir, Home Sweet Hardwood, so I’ll ask you to share a bit about your passion for writing. 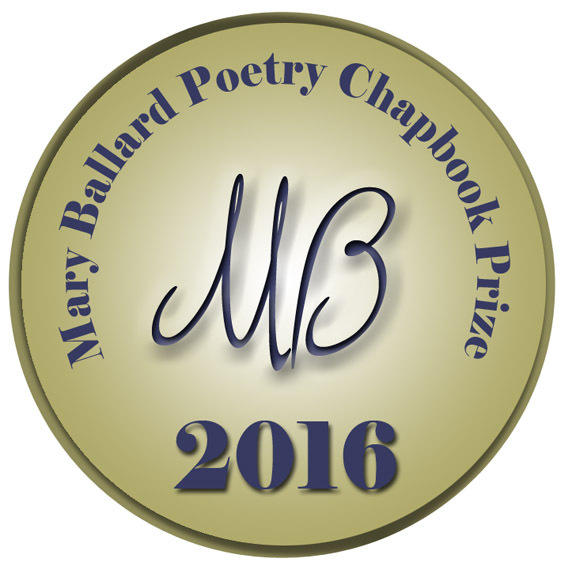 Kathy- For years, like many others, I have felt I have had a book inside me. I have enjoyed writing since I was about ten years old when I wrote plays for my maternal grandmother, Nan and all her little Italian lady friends. I can still see them gathered in the living room sipping coffee and chattering on in Italian. I never understood a word but can still feel their fascination and loving attention as they hushed each other when I stood in the archway to announce the play would begin. I have kept a journal since I received my first pink diary with a lock and key at the age of eleven. Several years ago, when I looked back on my life and realized the life of joy I was living despite the many obstacles I had faced, I felt the need to share how the power of hope through my faith has worked in my life. I have a story of survival, resilience, hope and overcoming obstacles that I feel others may benefit from. I feel deeply connected to this intent in my writing. Since Nursing was my career for forty-four years until I retired in 2011, I knew I needed to spend time learning about the art and craft of writing. In 2009, I joined The National Association of Memoir Writers, participated in ongoing memoir writing workshops, attended regional workshops and national writing conferences and started a blog. I began by writing vignettes that I eventually shaped into a story. How much is too much information when writing for this genre or is there such a thing? Pat- Yes, there can be too many side stories. Each time I worked with a different agent or editor, I redrafted the manuscript to fit their demands. The central theme is about a girl fighting for the right to participate in competitive sport as a first generation Title IX athlete (amendment to Civil Rights Act mandating equal opportunities for all regardless of race or gender in all public educational institutes), but within the basketball story is a story about sisterhood, family bonds, and falling in love with a foreigner. Home Sweet Hardwood reflects on the compromises women make for love, family and career and challenges stereotypes of gender, race and nationality. Kathy-The details that move the story along and support the theme of your story are what should be included. These details need to serve a purpose in the story. Details not related to the theme can serve to distract the reader. There is also an axiom in writing, “less is more” so judicious use of details should keep the reader engaged and not distracted. I’d like to add that I feel it is very important to write with intention and with a commitment to the truth as you remember it. Equally important is to be careful not to intentionally disparage others. Sometimes the facts of the person’s behavior speak for themselves. In my opinion, seeking legal counsel in writing memoir is essential because the actions of other people are an important part of our story. That’s a whole other discussion but I intend to seek legal counsel before I publish. Talk about the process itself. Were there times when you just wanted to throw in the towel and say, “forget about it”? Pat- ”Absolutely. Each time I got closer and then ultimately rejected by publishing houses, I felt a piece of myself die. I finally realized that it was more painful not to write, then to write and be rejected. Writing allows me to process life. I also didn’t know how I could possibly market a work for an American audience while living in Europe. Internet made publishing a whole new ball game. How important is it to have a mentor or writing buddy or coach when you take on such a big project? My sister is a godsend. She has believed in me always. I also draw strength from fellow writers, like both of you. When I was scribbling my stories alone in a Parisian studio, I was driven by the illusions of youth. Later, the reality set in, I became jaded. The fact that others believed in me when I doubted myself has made all the difference. Kathy- For me, the process has been like peeling on onion. Just when I think I’m done, a new layer of my story unfolds without much prodding on my part. The story reveals itself in the writing. When I get stuck, I do a free write in my journal. I know the story I set out to write three years ago is not the story I am writing now. In fact, after two rounds of edits by a professional editor, I have gained clarity on my story and recently , this has meant going in a different direction. I have many vignettes that will still be part of my story but I will structure it differently. I have used a combination of outlining and story boarding to help plot out my story structure. I also have had several beta readers who are memoir authors provide me with feedback on where I need to go with my next draft. And yes, I have had fleeting moments of wondering if it is worth it. But, the moments don’t last long because the passion I feel to tell my story is deeply-rooted and won’t let me rest!. What were some ‘aha’ moments of advice that stuck with you while writing your memoirs and what advice would you ladies give to aspiring memoirists? Pat- Never give up. That has been my life mantra. The obstacles I faced as a pioneer in the women’s sport are like the challenges people face in the pursuit of any dream. The lessons I learned through sports – practice, discipline, perseverance – carried over to help my reach my writing goals. I also had more than my fair share of injuries, accidents and illness, but that too helped shape me as writer and luckily, I had a day job to help pay the rent. Don’t take rejection personally. In any art you are expressing yourself but in memoir, you are not only exposing your craft, you are revealing your soul. 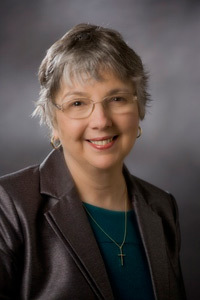 Kathy- The best advice I can offer that has come from my collective experience of writing and working with many fine memoir teachers and authors is to honor the story within and keep writing. Writing a memoir is a healing process as painful memories are unearthed and explored. It involves not just the recollection of memories but also the reflection and introspection on the impact those memories and events have on the person you have become. We need to show the growth and change that has occurred so that the reader can connect to their own experiences and transformation. That’s what I mean when I say writing with intention- show growth, overcoming obstacles, transformation. Memoir writing has a trans-formative potential when the reader sees his/her own story reflected in the experience of others, Both the writer and the reader are changed. That is the healing power of memoir. How important is it to have a mentor or writing buddy or coach when you take on such a big project? Kathy- Extremely important. In fact, I did a blog post in December, 2012 recognizing three of my memoir mentors. It is important to learn the basics of writing craft, the specifics of the genre you are writing and to have the ongoing support and feedback about your writing from mentors and writing buddies. Being open to constructive feedback about your writing is key to improving your writing and taking it to the next level. Pat- My sister is a godsend. She has believed in me always. I also draw strength from fellow writers, like both of you. When I was scribbling my stories alone in a Parisian studio, I was driven by the illusions of youth. Later, the reality set in, I became jaded. The fact that others believed in me when I doubted myself has made all the difference. Kathy, you’ve completed the first draft to your memoir in progress. You must be breathing a sigh of relief. Kathy- Actually , I will be when I finalize this next version of my first draft! Memoir writing is definitely a process that takes time, patience, perseverance. It is important to take the time to write it right and I expect I will know when it is ready to be launched. I’m sure Pat can address that. Congratulations on being chosen to speak at the 2014 University Of Wisconsin-Stevens Point Athletics Tournament for girls, Pat. Explain what that honor means for the layperson like me, but, more importantly, how you’re feeling right about now. Pat- Ahhh, March Madness, to reach the NCAA Final Four Tournament is ultimate experience for college athletes. They call it the Big Dance. When I left the states in the infancy of women’s sport, the Association for Intercollegiate Athletics for Women (AIAW 1971-1983) fought for the rights of women’s and the NCAA opposed those efforts. And Clara as you well know, laws don’t automatically change attitudes. It wasn’t until the government threatened sanctions against any public educational institute not complying with Title IX that the NCAA stepped in and took over. 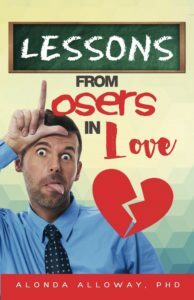 I was a good ball player, but not the best, certainly not the Michael Jordan of women’s basketball, but my story captures the depth of emotion of woman moving in man’s world, of how an ordinary small-town girl followed her dream from the cornfields of Illinois to the City of Lights and kept fighting in spite of obstacles. I am excited about the opportunity to speak even though I don’t feel comfortable talking about myself. Women’s stories have been left out of the history books, so I have to rise to the occasion because I feel like I have been given a voice for an unsung generation of heroes who led the way for our highflying daughters of today. Any after thoughts or information you all would like to share with our readers? Kathy- Keep writing and sharing your stories. Think of your story as a gift to yourself and your readers. Pat-Embrace life with open arms and take advantage of any opportunity to learn. I quit taking French in high school cause I thought I’ll never use it. Go figure. I married a Frenchman. I dropped out of creative writing in college cause I really thought I had no talent. Then I taught myself to write while living in foreign countries where all the books were all in French or German. This has been a blast! Wasn’t my guests awesome? How do you feel about writing your memoir? 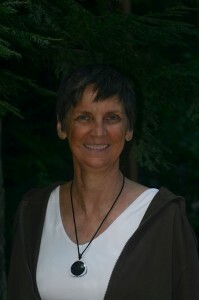 Kathleen Pooler is a writer and a retired Family Nurse Practitioner who is working on a memoir and a sequel about how the power of hope through her faith in God has helped her to transform, heal and transcend life’s obstacles and disappointments: domestic abuse, divorce, single parenting, loving and letting go of an alcoholic son, cancer and heart failure to live a life of joy and contentment. She believes that hope matters and that we are all strengthened and enlightened when we share our stories. 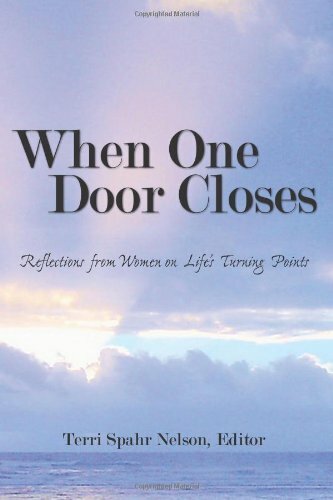 One of her stories “The Stone on the Shore” is published in the anthology: “The Woman I’ve Become: 37 Women Share Their Journeys From Toxic Relationships to Self-Empowerment” by Pat LaPointe, 2012. 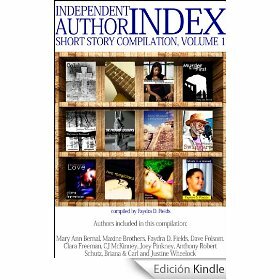 Another story: “Choices and Chances” is published in the mini-anthology: “My Gutsy Story” by Sonia Marsh, 2012. Thanks for having me guest post on Clara54. I am amazed by the amount of writing support and inspiration we can give each other even though we are 4,000 miles apart. So many bloggers like Clara and Kathy offer so much insight into the writing process and give hope to others to reach for the stars through their selfless efforts to highlight our stories. Always a pleasure, Pat. Keep us abreast when movie offers pour in for your empowering memoir! Dear Clara , Thank you for including me in this interview with our shining star, Pat. I ,too, am waiting for that HOME SWEET HARDWOOD movie! I’m thrilled to help you promote your memoir and message, Pat. It’s wonderful to be able to stay connected across those 4000 miles. You’re so welcome, Kathy! It was a pleasure spotlighting you and Pat together:) Continued success to both of you, online & off. Clara, this is my first visit here thanks to the link at Kathy’s blog. Thanks for hosting such a team as Kathy and Pat today to talk about memoir and provide us greater insights into this genre. Welcome, Sherrey! It was an honor to host two of my favorite memoirists. We had a ball:) Feel free to stop by anytime and add your voice to the mix. One cannot help but admire the enormous sense of dedication that both Kathy and Pat bring to the process. The question about ‘how much information is too much information when writing for this genre’ really got my attention. My sentiment, which probably veers slightly off the intended course, is that – while it’s assumed that you want to satisfy your reader – you reveal as much as you feel comfortable with and that’s needed to do justice to the story. I got into a debate with someone on LinkedIn recently who obviously dislikes memoirs (for whatever reason); he stated emphatically that people who are not prepared ‘to reveal all’ shouldn’t write memoirs. My response was ‘memoirs aren’t reality shows’ and that writers who don’t approach this genre with a great sense of responsibility are the writers who shouldn’t go there. Does anyone else have any thought on this? Both valid points, Belinda and Kathy! I am all for transparency in writing memoir, as long as it’s relevant to the story I’m sharing. Why should I even want to share life experiences pertaining to truths that isn’t the focus or veers off course in the part of my life I want to open myself and the world to? Great conversations to be had, for sure ! Belinda, your statement that the writer must approach this genre with a great sense of responsibility resonates with me. I felt compelled to tell my story, not for self aggrandizement, but to give a voice to a generation of women who had been left out of the history books. Media coverage was so sparse back then, little has been written about first generation Title IX athletes. Any memoir will have the personal, cultural bias of the writer. I anguished over chapters in how to tell my truth in a way that allows readers to question stereotypes about gender, race, and nationality. When I asked my college coach if there was anything I should change, she told me that I did my homework. The book has been well received in my hometown and with teammates throughout my career. One of the most validating moments was when my German teammate called to tell me that I portrayed the time period just like she remembered. She found the chapters about Germany fascinating because it allowed her to relieve the experiences of that time period through the eyes of an American. She also kept journals documenting her experiences and reinforced the « truth » in my account of events. Don’t forget, Pat, it’s well received in the blogosphere as well. Congrats again on your achievement! Thanks for all your support, Clara…you lift me up long distance on the bad days.